One day, as you try to send an email from your SharePoint account, an error message appears saying: “E-mail Message Cannot be Sent.” You may have outgoing email settings misconfigured. 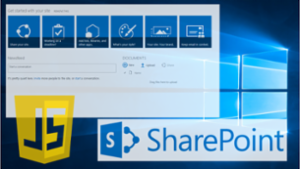 Read this article to learn how to migrate data from SharePoint to SharePoint Online account. 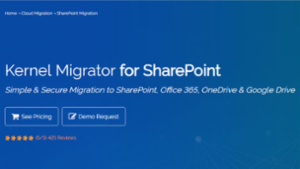 The entire process of SharePoint migration is described in detail. When using a search centre, I'm going to show you how to configure Sharepoint's search to only return results from the current site collection. Very useful when using Office 365 with multiple site collections. This script can help you clean up your user profile database by comparing profiles to Active Directory users in a particular OU, and removing the profiles that don't match. Great information. Thanks! Recommended reading for all SharePoint people. This should be submitted as an article. 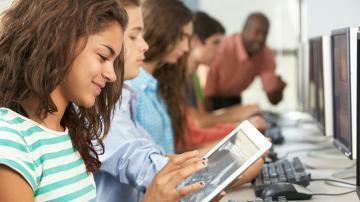 These days socially coordinated efforts have turned into a critical requirement for enterprises. I thought I'd write this up for anyone who has a request to create an anonymous whistle-blower-type submission form created using SharePoint 2010 (this would probably work the same for 2013). It's not 100% fool-proof but it's as close as you can get without Visual Studio which was a requirement. One of the most challenging things I've run into as a SharePoint consultant is creating a visual sitemap of a SharePoint environment. Visual maps are so much more effective when showing clients what their environment looks like and how it can be optimized when performing a migration, security review, or consolidation effort. My inspiration for publishing this article is hoping it will provide others in the same position an easy way to get a visual overview of their SharePoint environment. *NOTE: The yellow colored objects were manually set. I try to get only 1 row of pages in Visio. If any go beyond 1 row, I put them in a different Visio sheet and uniquely identify that node by changing the color. By default it uses the local SharePoint environment so it should be run on the SP server itself. If you want to specify a specific WebApplication, you can modify the script. The script is commented but is pretty straight forward. This is just a little help to get you started with your first SharePoint site. First things first, log into your Microsoft Office 365 Admin portal account at this link: https://portal.microsoftonline.com/admin/default.aspx. 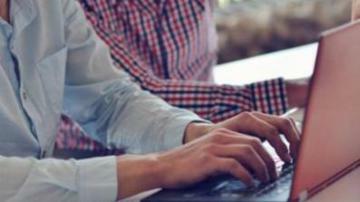 Use your username and password to access your Office 365 Administrative portal site. If you have trouble logging in, use the forgot password option to reset. Once successfully logged in, select the drop down menu under Admin and select SharePoint. 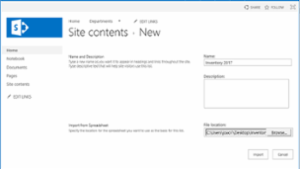 The next page that loads will be to administer your Sharepoint site information. Once loaded, you will be managing your site collections as Microsoft refers. Think of this as the master and root destination to manage everything. If you already have a few URLs listed, like, https://domainname.sharepoint.com then you are well on your way. Want to create/check ownership of that domain created? Select the domain in question and on there is a tab above that has a drop down entitled "Owners, " click it and choose Manage Administrators. From here, you can check who is your primary site collection administrator as well as see who is your site collections administrator(s). In the event you want others to share the task of editing or managing the site collection with you, adding administrators will be the next task. I edited the article to include information on adding administrators for the sites not just primary site collection administrator. Found this information helpful when a client had an admin leave a job and not give up some information on how to change and edit content. I would like to follow up with more articles addressing issues they come across and how we solve them together as I feel it would be extremely helpful for the community and possibly attract more public views. Unfortunately, with the first library they updated, they noticed when you changed the version retention number, the libraries did not automatically remove the older versions. Only when you performed a future update of the document, did the older versions get trimmed off. After a little research, I couldn't find anything online which offered the solution I was looking for. In the end I wrote a simple but very fast, effective, and powerful PowerShell script. For some time, our SharePoint Site had been suffering from performance issues. The users of the site were always quick to point out any performance issues, and it finally came to a head. I had tried all types of things from app pools ( "Recycling" page ), registry hacks, adding CLR's to the sharepoint server, modifying the local host file, adding additional RAM, adding web gardens, re-indexing the SQL tables, troubleshooting SQL, Ensure there is no Disk or Bandwidth issues between the DB and SharePoint. While all good things to do in principle, still no joy. Then, onto further tests and checks for network speed, re-schedule crawling jobs to run outside of regular business hours, enabled object caching , ensured compression is enabled too! Actually, compression is a good tip... For lower bandwidth users SharePoint sends a large amount of CSS information to users that compresses down to 1/10th it's size if compression is enabled, ensure internal DNS is working correctly. TechNet has some good best practices here. It is very thorough and will help you narrow down the problem. But, nothing I did provided the performance boost we were looking for. Background – I started in SharePoint as a contractor Support Engineer for the company that created the product, which after years as a UNIX guy, left me confused and intrigued. After I relocated to a new state, I tried getting back into the UNIX/Linux world but with such tight competition, it was difficult. So, I ended up selling a client on a small SharePoint farm to help organize and share their massive collection of stock photographs, while giving them the ability to assign metadata and sort by company and job number. This basically was the first time I really got into PowerShell with SharePoint since it required a set of scripts for automating site provisioning…. So lets start from the beginning…. You can name your variables pretty much whatever you like, though there are rules – google them if you are curious, since .Net object naming conventions are slightly out of the scope of this document. Office Web App server 2013 and Sharepoint 2013 - making them work together. Sharepoint 2013 Server and Office Web Apps 2013 Server should work well together, so, what is with : 'Sorry there was a problem word cannot open..' and 'You do not have permission while opening PowerPoint App'. Well, that is what happened in one project, and thought I would share my findings. The main purpose of this project was to make the office web apps like ‘word, powerpoint, Excel, one note’ to work with sharepoint 2013. My test environment was working fine where I used ‘http’ to access my sharepoint and office web apps 2013. For my test environment I followed ‘http://stevemannspath.blogspot.ca/2012/10/installing-office-web-apps-server-for.html‘. - Word ran into problem, can’t open the file, try opening the file with Microsoft word. - Sorry there was a problem, word can’t open the file. - While opening power point. You do not have permissions…. Are these one of the scenarios you faced in your environment? You don't have space in default C drive and always wanted to move Inetpub to D drive. By mistake someone configured few webservers on C drive and couple of them on D drive, in farm environment it caused issues while deploying the code base. One of your environment is already configured in C drive long back and now you have a policy/scripts which will only work in D drive. You want to move to D drive and make this environment similar to your production/cob environment. If you answered yes to any one of the above, then you are reading the right article. 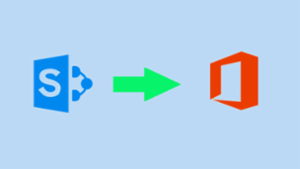 Lets follow the below steps to move Inetpub with sharepoint websites from C drive to D drive. Step 1: Backup the current registry and Change all the registry settings as below. Step 2: Goto C:\winnt\system32\Inetsrv. Make sure IIS is stopped. Take a backup of metabase.xml under Inetsrv. Do find/replace from C:\Inetpub to D:\Inetpub for all references. Now copy C:\inetpub directory to D drive and give the same permission for the directory similar to C:\inetpub. Step 3: Login to Server which contains sharepoint databases. Run the below query against sharepoint configuration database. This will give all the webapplications which are created in C drive. Now we need to update all these references to D drive as we are moving from C drive. Step 4: We need to run the below powershell script to update the configuration database. Congratulations; your article has now been published. Getting the private properties of user profile service displayed in a webpart, that can be viewed by visitors. Getting the private properties of a user's profile was one of the problems that I faced at my work. 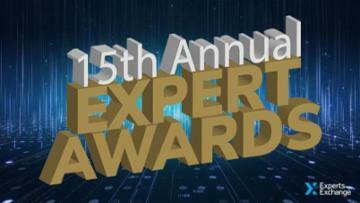 This was a very serious problem and finally I came up with a solution that helped me getting the required objectives. I am still looking forward if there are any other better way for this. Meanwhile I would just like to share what I have done and understood throughout. Please suggest or comment where you think there are better ways, or any improvements. My college and I had lot of discussion about getting those values displayed. Most of them suggested changing the visibility of the current property. When you change the visibility of the property to all and access the user profile service through elevated privileges then it would work as desired. But here is the catch we have the legal compliance with the client that didn't allowed us to change the visibility of the property to public from private. We tried to educate our client about the implementation and making the property visible to preserve the security compliance. But they never agreed with our approach. So Finally, I came up with a solution which helps me getting the values as I desired. I am putting the code here so that anyone interested can use it and may be make it more efficient. Your article has been published. Thanks again for your submission. In a Microsoft Windows IIS environment that is load balanced, the external load balancing hardware needs to know which servers, in the pool of servers, are available to send http traffic to for a particular website. The rule, shown below, is a built in rule that requires each IIS Website on each IIS Web Server to have a http://healthcheck host header. 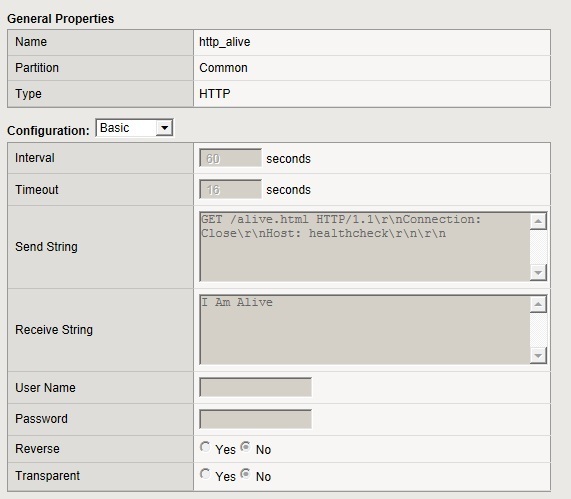 The load balancer will check each website using the http://healthcheck host header and look for an alive.html web page. Upon being able to access that alive.html web page, the load balancer will continue routing traffic to that particular website on that particular web server for another 60 seconds. Using this built in rule administrators only have to add a healthcheck host header to each IIS Website. This built in rule eliminates any need for administrators to create a separate and distinct set of rules for each IIS Website on each Server using the websites own distinct name. 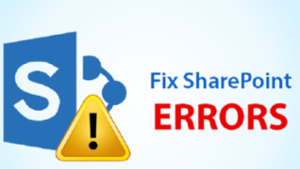 Now, enters SharePoint 2010 and how it is incompatible with this rule. For the sake of an easy example, let us declare that we have three Windows 2008 R2 Servers that are running SharePoint 2010 Standard Server. We will call them SPServer1, SPServer2, SPServer3, and they are configured as follows. SPServer1 runs the Central Administration Console, and contains all SharePoint Websites. But end users never Access the SharePoint Websites here. The site collection containing this sandboxed solution has exceeded its daily resource usage quota. My developers created a sandbox code and uploaded it to a site collections under site Actions--Site settings--Galleries--Solutions for which the url is "/_catalogs/solutions/Forms/AllItems.aspx". Once uploaded, they were trying to "Activate" the solution by highlighting the solution and then clicking "Activate" on the ribbon but they were getting below error message. Your resource quota is 0 server resources. Solutions can consume resources and may be temporarily disabled if your resource usage exceeds your quota. We had a requirement to extract data from a SharePoint 2010 Customer List into a CSV file and then place the CSV file into a directory on the network so that the file could be consumed by an AS400 system. I will share in Part 1 how to Extract the Data and save it in a csv file. In Part2, I will explain how to schedule it on a periodic basis. 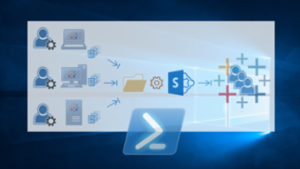 After some research I found Roi Kolbinger's blog "I Will Share my Point: Export SharePoint 2010 List to Excel with PowerShell. The problem with this is that it will only extract the Title field. I was able to create a PowerShell script to extract the data using Roi's script as the base for my script and with a little help from a developer, named Miguel Wood, who told me "Yes. The .Items will only export the Title column. 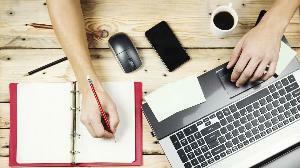 To export the list, try creating and using a PSObject." Now that we have some background information, let’s create a SharePoint Management Shell script to extract the data from a SharePoint 2010 List and into a csv file. 1. Open notepad and paste the following code customizing it for your environment. Thank you for your article, I will be attempting shortly. I wondered if the following was also possible as we need to export our job data into a csv file for our accounting software which is Soloman. We would need to filter items which have a tick box placed next to ready for invoice in the list. Further to that, we need a column which is called invoiced which gets selected once the export has run so that duplicate entries don't get sent to the csv file. Hello James. Thanks for taking time to read my article. Unfortunately I do not know how to make the script do what you need. I will do some research and see if I can assist. Köbes? Eine Runde für Tolomirs Tisch! As is the way with the internet, sites get created, sites get abandoned. Links die. The link in my above article to the demo of the MegaMenu has died. Fear not. The Wayback machine comes to the rescue. Here are the links to the content that does not work anymore from the links above.